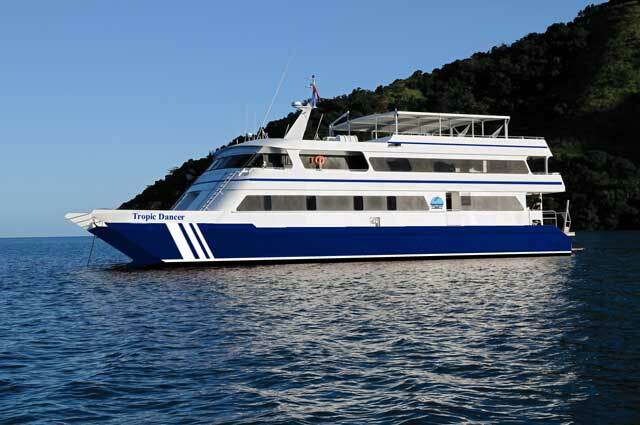 Based in Koror Palau, the Tropic Dancer explores the waters in and around the Palau including the Famous Blue Corner. The Tropic Dancer, a spacious, comfortable catamaran specifically built for diving, stretches 106 feet long, 31 feet wide & accommodates 18 guests who are pampered by a crew of 8! Following the standards of the Dancer Fleet, the Tropic Dancer replicates Dancer Fleet service, amenities and the highest standards of safety in the industry.